Your Atlanta Wedding Photographers | Tin Can Photography | Blog: We're Coming to Savannah! Oh hey, Spanish moss-draped trees! We'll be seeing you this week! 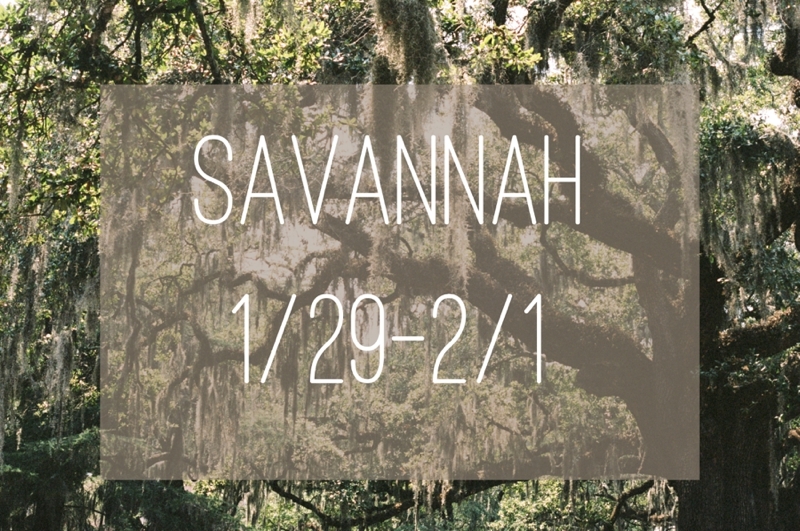 We'll be in Savannah from 1/29-2/1 and would love to meet with you if you live near that area. We're even up for a last minute photoshoot if the mood strikes! Shoot me an email through our contact page (http://tincanphotography.net/) and let's set something up! I know there's no shortage of delightful little meeting spots around town.